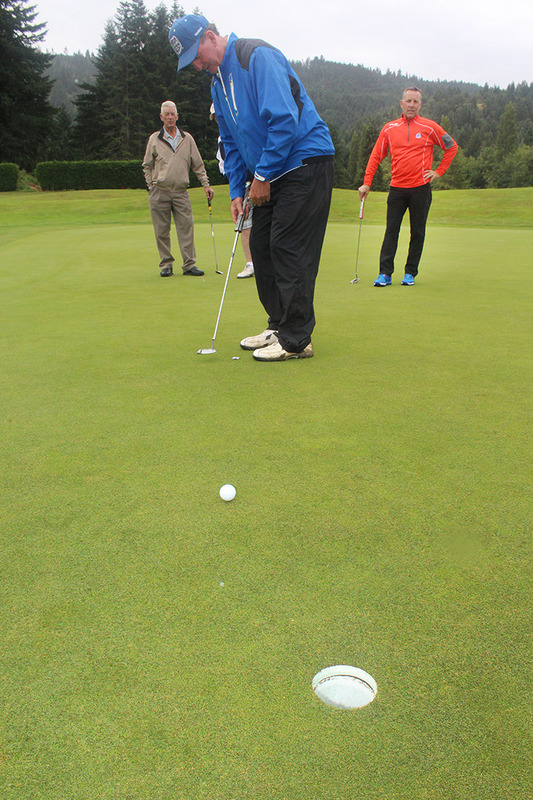 The annual Charity Golf Classic was another sellout on Saturday as a full slate of teams took to the links at Alberni Golf Course. Jul. 14, 2016 5:00 p.m. The annual Charity Golf Classic was another sellout on Saturday as a full slate of teams took to the links at Alberni Golf Course, all in the name of helping local charities and the BC Children’s Hospital. Kaitlyn Chernomaz won closest to the pin (KP) on No. 4, Kathy Fredrickson on No. 13, Mike Sutherland on No. 2, Dave Sutherland on No. 17. Tyler Ruel won the longest drive on No. 5; Chernomaz won the longest drive on No. 12. Don Clark, Laurie Wood and Dave Cusson won the putting contest while Drew Grozelle won the chipping contest. The Squiggly Line award went to Ken Bradley.